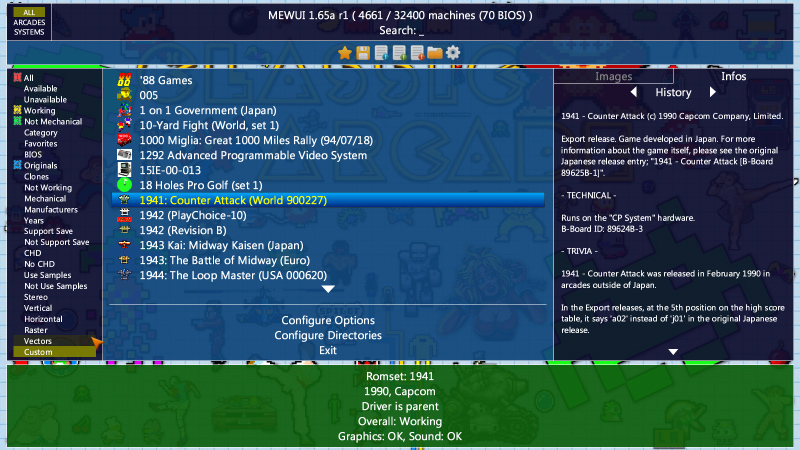 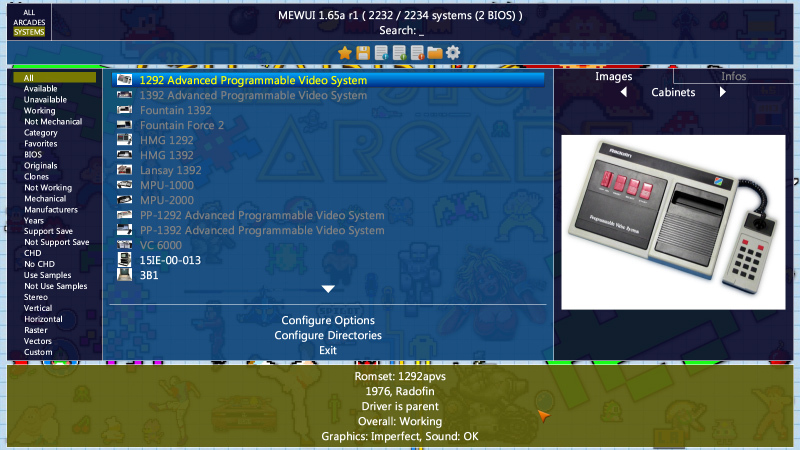 MEWUI stands for MAME Extended Windows User Interface. 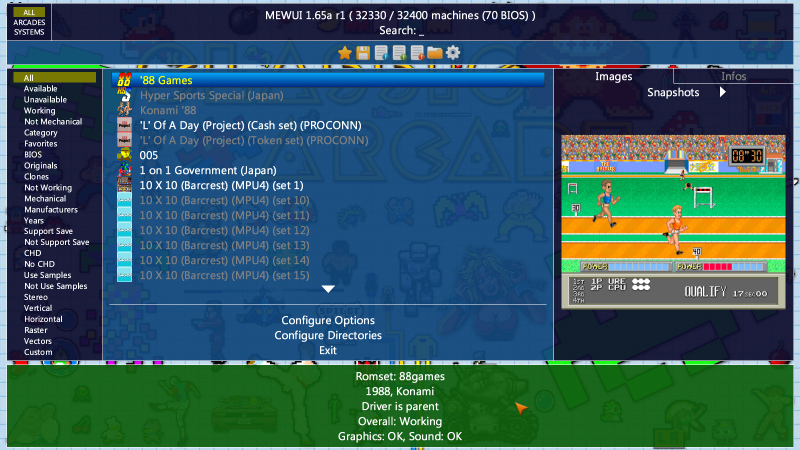 MEWUI is a frontend for MAME, which unlike the other uses its internal graphics interface. 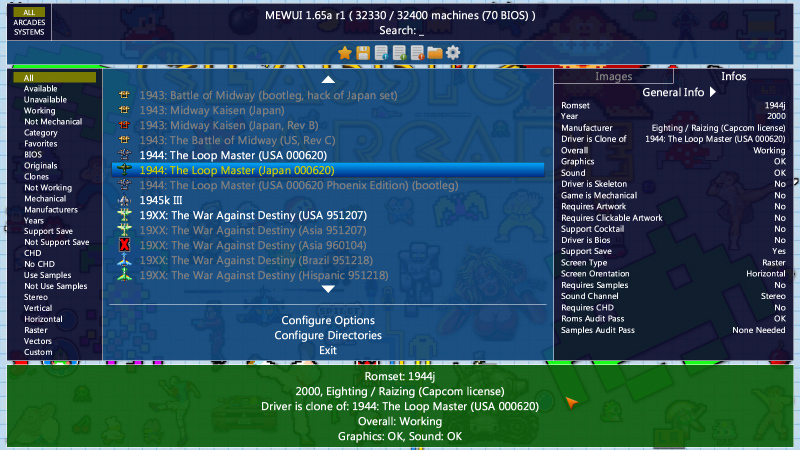 The benefit is that it is cross-platform, can be compiled in any OS supported by MAME itself, always keeping the same look. 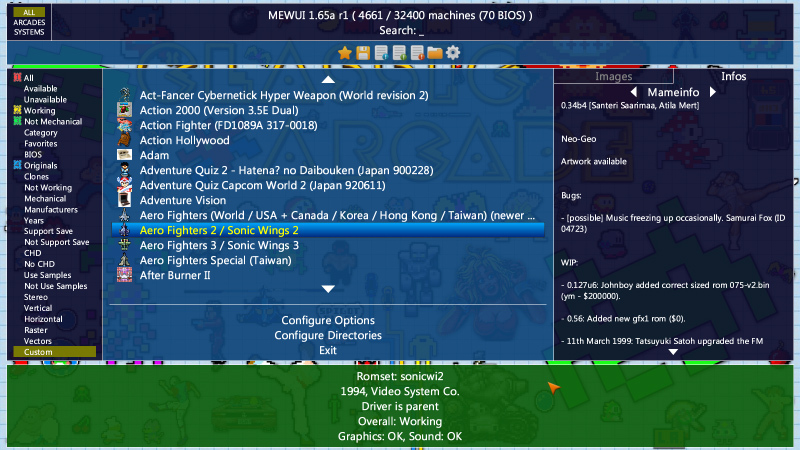 For Windows users, MAME devs provide a ready-made build environment based on MinGW-w64. 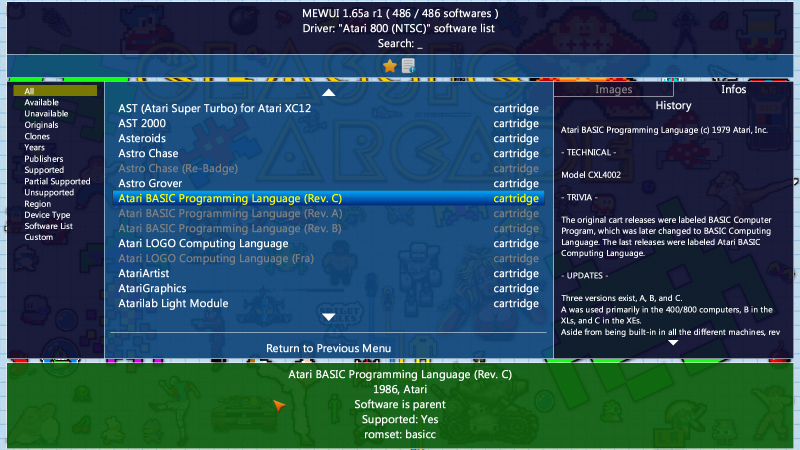 Visual Studio builds are also possible.